Mexico is the second largest economy in Latin America and is projected to be in the top 10 global economies by 2050. The opportunities for investment are endless and ever-growing, with emerging industries including production in the aerospace sectors. In fact, there is a brand new aerospace cluster based around Querétaro, which is employing over 30,000 people. On average, the Aerospace industry currently raises USD$ 3 billion in annual profit and produces all parts, from turbines to jet engine sensors. There is hope that this industry will grow to USD$8 billion and will employ upwards of 60,000 people in the coming years. Despite the economy currently struggling to take off after the recent earthquakes, the long-term prospects for Mexico are very positive. The IMF predicts a growth of just 1.9% in 2018 as the economy strives to recover from the September 2017 earthquakes, however, this will increase into 2019. Many analysts are pointing to the recent renewal of NAFTA as a hugely important development, which will help to level out fears of tension between the US and Mexico. Even with the current, relatively problematic economic performance, Mexico maintains one of the most profitable and impressive investment portfolios in Latin America and is a hugely popular place for foreign investors to live and work. The following article will establish the norms and requirements for hiring employees in Mexico and explain the different options that you will have as an employer. Understanding all the recruitment requirements in Mexico can slightly complicated for foreign companies. Employment Contracts: There are two main types of contract in Mexico, Measurable and Indefinite-Term contracts. Foreign workers: Foreign Workers may only make up 10% of a company’s labour force in Mexico, however, at executive level there is no limit. Employment Termination: Workers in Mexico are entitled to many legal and procedural safeguards. Bonuses: Mexican employees are entitled to a ‘13th-month bonus’ known as ‘’Aguinaldo’, this must be paid by 20 December. Working Hours and Minimum Wage: The standard workweek is 8 hours per day, with a maximum of 48 hours per week. The minimum wage was recently raised to MXN$80 a day, this equates to roughly USD$4. Vacation Leave: Employees are entitled to 6 days of paid vacation each year. This will increase by 2 days for every year worked at the company, and after 4 years, will increase by 2 days every 5 years. Sick Leave: An employee receives 60% of their salary if they are unable to attend work for more than 3 days due to illness. Maternity/Paternity Leave: Women employees are entitled to 12 weeks of paid maternity leave, 6 before birth and 6 after the birth. Fathers are entitled to 5 days of paternity leave after the birth of a child. PRO TIP: Before jumping in and hiring employees, speak with a local company who can assist you in naviagating Mexican employment law. For many foreign investors, it can prove to be a significant challenge to understand and keep up with employment laws in Mexico. For this reason, a Professional Employer Organization (PEO) solution can prove to be a great alternative to hire staff. A Professional Employer Organization (PEO), also known as an ’employee of record’, is a company that legally hires, registers and pays workers on behalf of companies. The PEO oversees and manages all human resource related functions including payment of employee taxes and employee benefits, regulatory compliance etc. It is a very handy strategy that can be employed by all companies that do not have a fully incorporated company or branch subsidiary in Mexico, but still have the need to hire local staff. Real Life Example: A French company has 3 clients located in Mexico, and have been outsourcing this work to a Mexican service provider. Now, they are interested in expanding their operations by setting up a local legal entity. The company are looking to hire a local lawyer to work directly with the company’s clients, rather than outsource their work. Instead of establishing the local company straight away, they decide to work with a PEO service provider for 6 months while their client base is relatively small. The Mexican PEO service provider incorporates this Mexican lawyer onto their payroll, providing a ‘risk-free’ solution for the French company in regards to employment obligations. The employee is legally and officially registered by the PEO service provider whilst receiving instructions and reporting to the French Company. 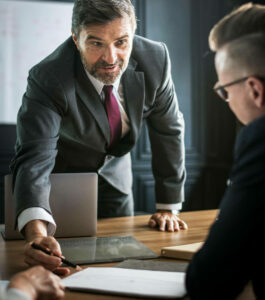 Once the company has a better understanding of the local market and has expanded their client base, they will set-up a local company and employee the lawyer with this newly formed company. Time and money: A PEO can save you large amounts of time and money if you are a small to medium-sized company, or if you are only seeking to hire a few members of staff to carry out more specific tasks abroad. Localised support: A PEO can assist you in navigating and overcoming the various steps in hiring employees in Mexico. Using a PEO will ensure that you are fully compliant with local legal requirements and mitigates legal risk. More time to do your job: One of the most tangible benefits you will experience from using a PEO service provider is the freedom you will have to directly manage your employees that are working abroad. With much of the administrative burden undertaken by the PEO, you will be able to focus your time and effort on working directly with employees. Interested in Doing Business with a PEO in Mexico? Mexico is an exciting location with many business opportunities and a friendly business environment. If you are unsure about what the best solution to hiring employees in Mexico may be, and would like more information regarding the possibility of using a PEO, our team will be delighted to help. Contact our Country Manager, Alex at [email protected] to learn more about how we help you with hiring and recruitment in Mexico. For more information about hiring recruitment in Mexico, have a look at the following powerpoint presentation created by our team in Mexico.